Margaret has over a fifteen-year base of experience in leadership and sales in Canadian and International businesses. Her proven ability to grow complex business units has allowed her to surpass market share and revenue gains. 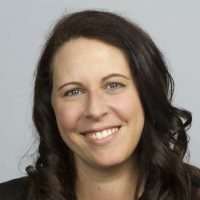 She graduated with her Bachelor of Arts from University of Guelph and her Master of Business Administration in Innovation and Leadership from University of Canberra. She is very happy to join the faculty at Stratford Chefs School and working with the culinary leaders of the future.